Adultery and Divorce: Does an Affair Matter? All relationships require each person to trust that the other has his/her best interests at heart. When this trust is lost, the relationship can no longer function in a healthy or productive way, and with married couples, this often leads to divorce. A spouse can break this trust with many different types of actions, from gambling to drug addiction to refusing to find a job, but the number one reason many relationships end is unfaithfulness by a partner. Adultery is the ultimate act of betrayal for many people and coming back from this breach of trust is not always possible. The betrayed spouse is understandably interested in holding the guilty party accountable for these actions and wants to make the infidelity the central focus on the divorce case in hopes of convincing a judge that punishment is warranted. Divorce cases, in addition to legally ending marriage rights, privileges, and obligations, are also designed to divide things created during the marriage, i.e., children, property, support, etc., which may or may not ultimately be equal. Adultery, being an example of spousal misconduct generally, may or may not have an impact on the final divorce settlement. The divorce of Amazon founder, Jeff Bezos, is linked to an affair, and depending upon the circumstances of the extramarital relationship, this misconduct could be accounted for in the division of assets. A discussion of how adultery fits within the context of a Florida divorce will follow below. 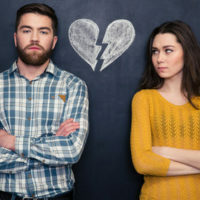 While an affair may have led to the demise of a marriage, Florida is a no-fault divorce State, and this particular act has no direct bearing on the reason or grounds asserted when filing. Florida recognizes just two grounds for divorce: the marriage is irretrievably broken or one spouse has been adjudicated mentally incapacitated. Further, family courts are not usually interested in the specific facts that led to the divorce, including the details of an adulterous relationship, unless it relates to the use of marital funds or impacts the couple’s children. Thus, allegations of adultery will not serve to justify the divorce, but these facts can influence how the court views other issues. Adultery is most likely to have a direct impact on the outcome of property division. The presumption under Florida law is for an equal division, but if a spouse used marital assets to provide gifts or other benefits to the paramour, this fact could result in an unequal division of property. 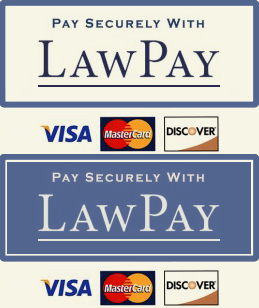 The primary concern for the court is that the settlement is fair, and if one spouse dissipated marital funds without the knowledge of the other spouse, this could serve as justification for giving the innocent party the equivalent value of the money spent on the relationship in other property. In addition, adultery may be directly considered in any request for alimony, which is awarded based upon need, the ability to pay, and circumstances of the marriage, as well as the earning capacity of each spouse. Adultery will not be determinative on this issue, but it can sway the court to grant an award if other factors are present. Finally, adultery can affect the structure and division of parenting responsibilities. If the affair is negatively impacting the best interests of the child, the court can order the unfaithful spouse to keep the new relationship away from the child. In more extreme circumstances, when the new romantic interest poses a danger to the child, the judge can impose even more restrictions on parenting time. Going through a divorce will never be easy, and adultery will likely add to the stress and difficulty of this process. If you have questions about your divorce, contact the experienced Orlando divorce attorneys at the Donna Hung Law Group to discuss your concerns. Our attention to detail and individualized approach to helping clients will help you achieve the best possible outcome. Contact the Orlando divorce firm at (407) 999-0099 for a consultation.